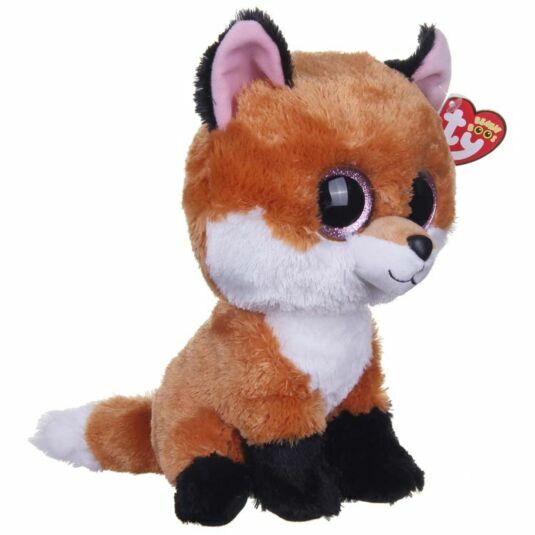 If you're looking for a new cuddly companion, this adorable fox is perfect for old and young alike. This Beanie Boo from Ty has been named Slick, and he has silky soft brown and white fur, and sparkly pink eyes that you won't be able to resist. 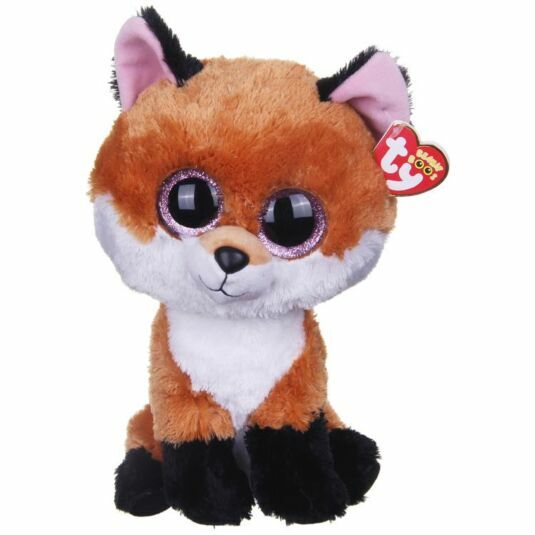 With a touch of pink on her ears and black feet, he is certainly one of the cutest foxes we've ever seen. A visit from hunters would never be good!"